How can a sinful person ever be acceptable to a holy God? God takes sin seriously; it will be severely punished unless atonement is acceptable according to God’s standard. Sin is a barrier that separates a person from God. In the Old Testament God dealt with man’s sin by substitution (Lev. 1:4; 4:20; 7:7; Lev. 16). In the New Testament sin is still a serious problem because everyone has sinned and come short of God’s expectation (Rom. 3:23). Moreover, an eternal hell awaits all who sin (Mk. 9:43; Lk. 12:5; Rom. 6:23). It is the will of God that everyone come to repentance and be saved from the wrath of God (Jn. 3:16; Rom. 5:8; 2 Pet. 3:9-10). Salvation is accomplished by what God has done in the person and work of Jesus Christ. The apostle Paul wrote, “God was in Christ reconciling the world to himself” (2 Cor. 5:19). This reconciliation was accomplished by the death of Christ. “For if while we were enemies we were reconciled to God through the death of his Son, how much more, since we have been reconciled, will we be saved by his life?” (Rom. 5:10 NET). The death of Christ is absolutely essential to our salvation. Only the death of Christ can save us from our sins and the eternal punishment we deserve. Jesus gave His life as “a ransom for many” (Mk. 10:45) because “God made the one who did not know sin to be sin for us, so that in him we would become the righteousness of God” (2 Cor. 5:21 NET). 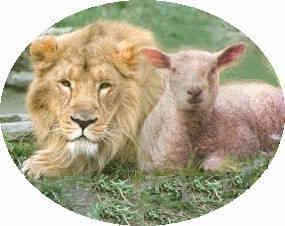 The sacrifice of animals could not “take away sins” (Heb. 10:4). However, the sacrifice of Jesus did what was impossible for animal sacrifices to accomplish. “By his will we have been made holy through the offering of the body of Jesus Christ once for all” (v. 10 NET). “But now he has appeared once for all at the consummation of the ages to put away sin by his sacrifice” (9:26b NET). By His death Jesus Christ paid the sinner’s debt in full and that death turns away the wrath of God (Rom. 3:25). Because Jesus paid sin’s due penalty God can be both a just and holy God, and at the same time justify the person who has faith in Him (v.26). “For the payoff of sin is death, but the gift of God is eternal life in Christ Jesus our Lord” (6:23 NET). Jesus bought us while we were in the slave market of sin, paid the price in full, and set us free to live the Christian life (Eph. 1:7; 1 Cor. 6:20; Gal. 5:1). He purchased us with His own blood (Eph. 1:7; 1 Pet. 1:18-19). Because our sin has been dealt with completely we are now free to serve the LORD God. We no longer have to be preoccupied with sin, guilt and punishment. It has been dealt with in the blood of Jesus and we can focus on serving him with a clear conscience. We have entered into a new covenant with God in Christ (Heb. 9:11-15). Jesus entered “the greater and more perfect tabernacle . . . through His own blood . . . once and for all, having obtained eternal redemption” (Heb. 9:11-12). The effect is it cleanses our conscience from dead works to serve the living God (v. 14). We are now irrevocably the children of God, heirs of God and joint-heirs with Christ (Rom. 8:15-17, 29-39; Gal. 4:6; Phil. 1:16; 2 Tim. 1:12; Jn. 5:24; 1 Jn. 5:13; 4:13; 5:10). “All these things are from God who reconciled us to himself through Christ, and who has given us the ministry of reconciliation” (2 Cor. 5:18 NET). We share with others what God has done in reconciling us to Himself. We have a right relationship with God, the forgiveness of our sins, and eternal life because Christ has taken our place, doing what we could never do for ourselves. Christ paid our debt in full; our part is simply to accept that great salvation by faith. It is God’s free gift to the believing sinner.